Many of us spent afternoons watching ‘the stories’ with our moms or grandmothers and one of their favorites was the Young and Restless. 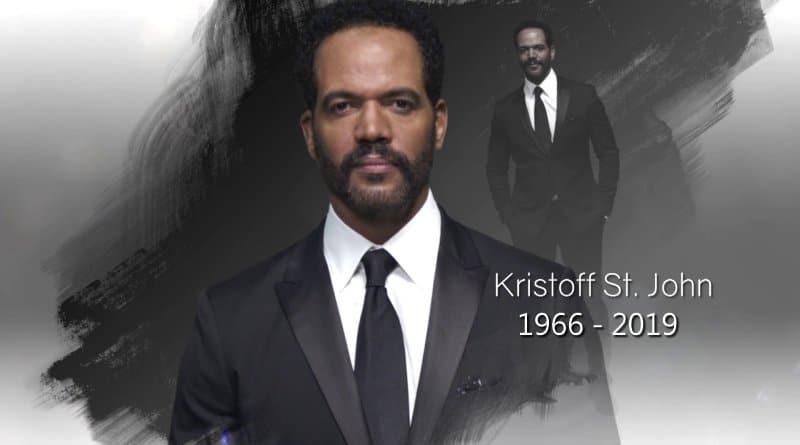 So, it is no wonder that the unexpected and untimely death of Kristoff St. John is hitting us like we lost a brother or uncle. Mr. St. John was found dead at his home on Sunday, February 3, 2019. I don’t want to write an article about the last few years of his life or about how he died. I want to remember the incredible actor and person that was Kristoff St. John. Kristoff St. John acting career started as a child in 1975 with a role in the TV show That’s My Mama and he has worked steadily ever since. From an appearance in Roots: The Next Generation as a young Alex Haley, to afterschool movies, to guest starring on all the popular TV shows of the 80s & 90s. When I heard about Mr. St. John’s passing today my first thought was his guest-starring role on A Different World and to my surprise, he posted it on his Instagram a few weeks ago. Kristoff St. John was most known for the role he created on Y&R in 1991: Neil Winters. At the time the number of lead characters of color in soap operas could be counted on one hand. St. John’s role was different for daytime TV. Most black men on daytime TV start as a hoodlum with a heart of gold, yet Winters was a junior executive trainee for the Jabot Cosmetics company. Neil had upper middle-class soap opera problems, a love quadrangle, career advancement, getting married then divorcing the love of his life Drucilla; becoming a parent then grandparent and overcoming an addiction to alcohol. At the time of his passing, he was the longest lead character of color in Daytime TV. Over the course of his career St. John was nominated for 8 Daytime Emmy Award-winning 2, and 15 NAACP Image awards winning 8. This was a talented actor and we will miss his presence on daytime TV or in whatever media he wished to share his gifts. I’m not sure how the writers of Y&R will close Neil Winter’s storyline but in my mind Neil is with Dru in the ever after.